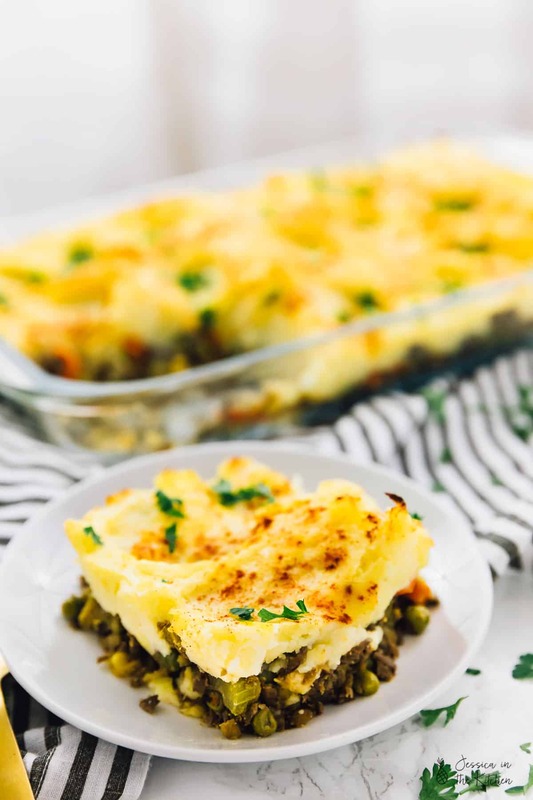 This Vegan Shepherd’s Pie will be the beautiful centre piece of any table! 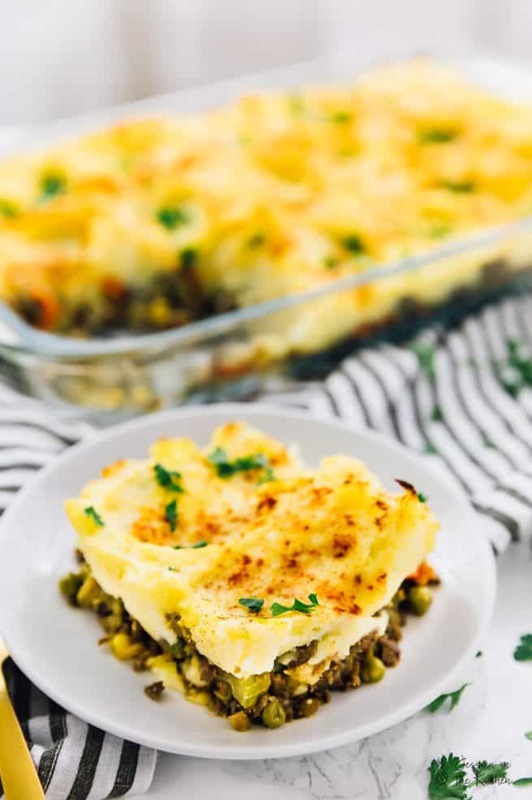 Loaded with a flavourful lentil filling and a buttery mashed potato topping, it’s a definite crowd pleaser! This post is sponsored by One Meal A Day. All text and opinions are 100% mine. 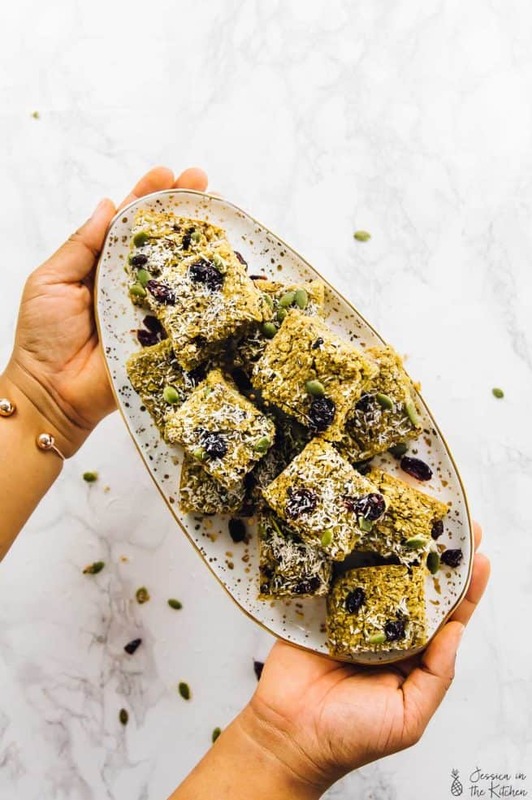 Thank you for supporting brands that support Jessica in the Kitchen! You know those dishes that become a part of your family stories? The ones that bring you all together, with laughter and joy and most of all – taste absolutely delicious? This is one of those dishes. This vegan Shepherd’s Pie is bound to do the same to you, or you and your family. Back in January I was introduced to the One Meal a Day for the Planet (OMD) brand. 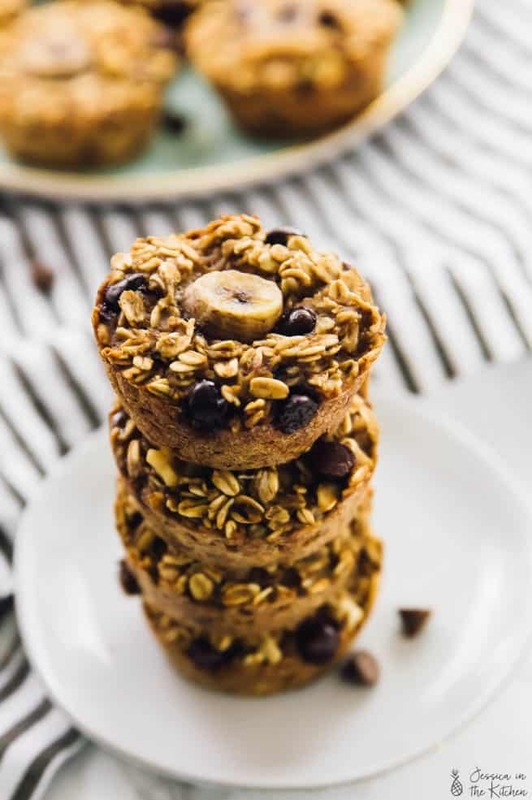 The simple and effective concept that switching to even just one plant-based meal a day for the planet would be enormously beneficial. I really loved the concept so much because finally there was, a simple and straightforward message that showed the emissions saved translating to literally miles driven, gallons of water saved and acres of forest you would save by your choices. You know when people say they can’t make a difference alone? They truly can – and OMD lets you know how. So it was really an honour when the team reached out to me to share their new book with you. As you guys know, I only only share things that align 100% with JITK. Spoiler alert: this truly did. 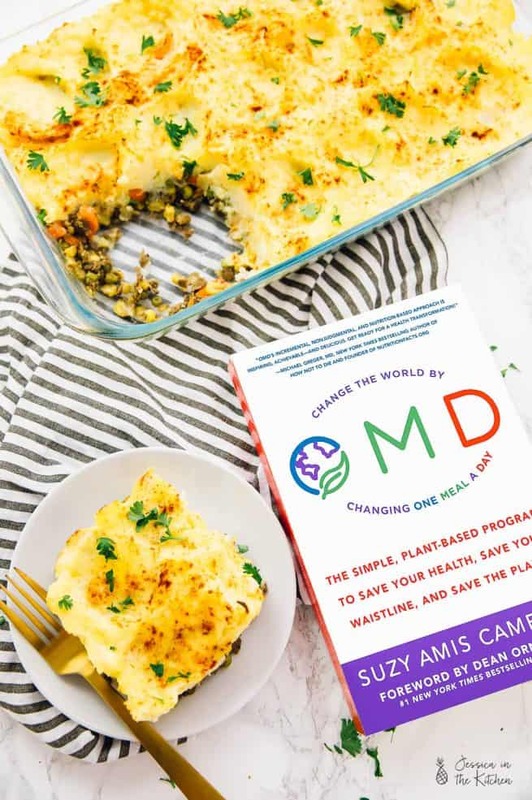 Last week, I made this “King’s Shepherd’s Pie” from Suzy Amis Cameron’s brand new OMD: The Simple, Plant-Based Program to Save Your Health, Save Your Waistline, and Save the Planet. In fact, I made it, tried it, then made it again for the Facebook Live that I did sharing this recipe. Well, after the Live my family wanted to take a bite. As I shared immediately with the OMD team, my dad went for a bite. Then another. Then after about a 4th forkful went for a bowl. My brother came over right after and did almost the same identical thing. Mom went straight for a plate after seeing this. NEEDLESS to say – this vegan Shepherd’s Pie was SUCH a loved dish. 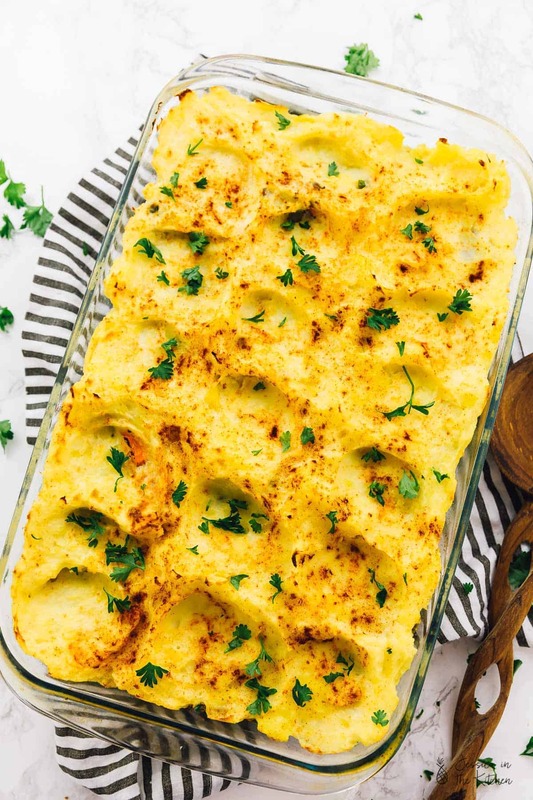 The layers of flavour in the lentil vegetable filling, topped with a vegan buttery mashed potato mix and baked to a beautiful, slightly crisp perfection. 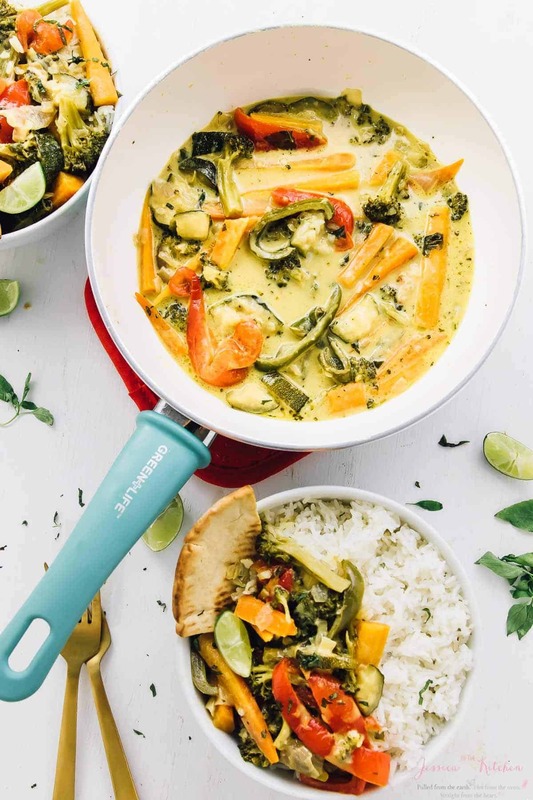 When I saw what was left from our “casual taste test” I knew that this new book by OMD with 50+ recipes would immediately be a hit (and a great holiday gift!). Anyone, whether plant based or not, will truly enjoy the dishes from this book, eat and laugh and chat together, while making such a difference. It’s such a beautiful concept that I had to share it with you guys. The OMD book has JUST been released (October 23rd) and you can purchase it now! I promise friends, there are so many more straight forward, easy and delicious recipes for you to get in this book! 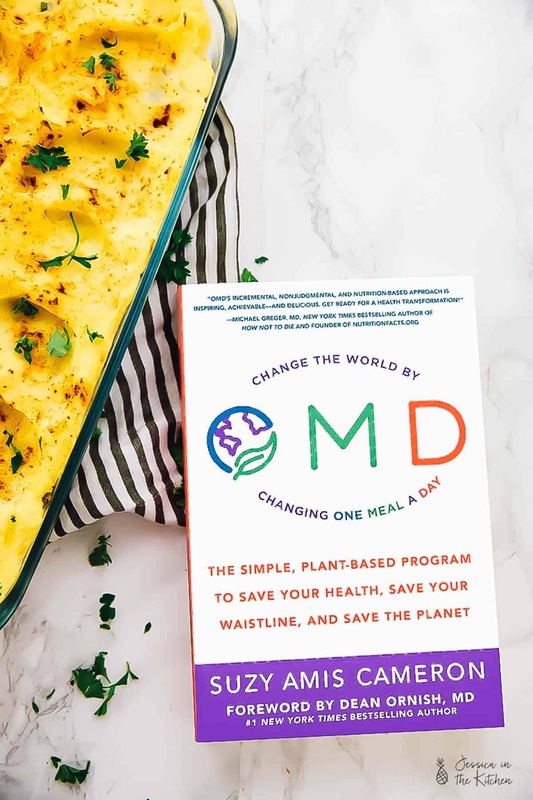 Plus, it’s even more than just a normal cookbook because there are several chapters explaining the health and environmental benefits all to you. The concept, the why, the how and everything in between. Be sure to check it out and enjoy!! Preheat the oven to 375°F. Coat a 13 x 9-inch baking dish with oil. Place the potatoes in a medium pot, add cold water to cover, and bring to a boil. Reduce the heat to medium-low and simmer until the potatoes are fork-tender, 20 minutes. Meanwhile, combine the milk, 2 tablespoons of the buttery spread, and the garlic powder in a small pot and heat over low heat. In a large skillet, melt the remaining 2 tablespoons buttery spread over medium heat. Add the carrots, celery, onion, corn, peas, garlic, thyme, bay leaves, lentils, and 1 teaspoon of the salt. Cook, stirring occasionally, until the vegetables begin to soften, 10 to 15 minutes. Remove and discard the bay leaves. When the potatoes are done cooking, drain them and return them to the pot. Allow the steam to dissipate, 2 to 3 minutes. Add the warm milk mixture and the remaining 1 teaspoon salt. Mash with a potato masher until smooth. Spread the vegetable mixture evenly over the bottom of the baking dish. Top with the mashed potatoes, using a spoon to spread them evenly. Sprinkle the potatoes with the paprika, if desired. Bake until the potatoes begin to brown, 25 minutes. Garnish with parsley and serve.